Wear this men's shoe for a subtle yet standout look. 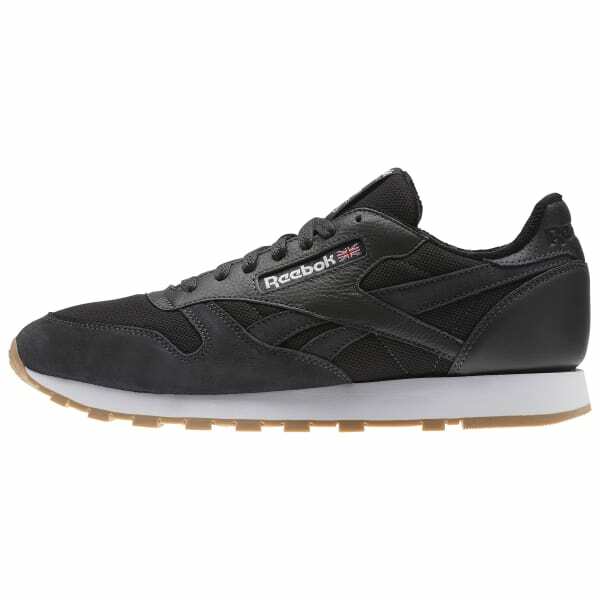 With a leather and mesh upper to support and keep feet cool, this classic has a standard EVA midsole for cushioning and a throwback gum rubber outsole for grip. A popped Union Jack add call out a heritage look.